The Masonic Temple was located at State and Randolph Streets in Chicago, Illinois and was completed in 1892. This building was designed by Burnham and Root and stood 321 feet tall with 21 floors. 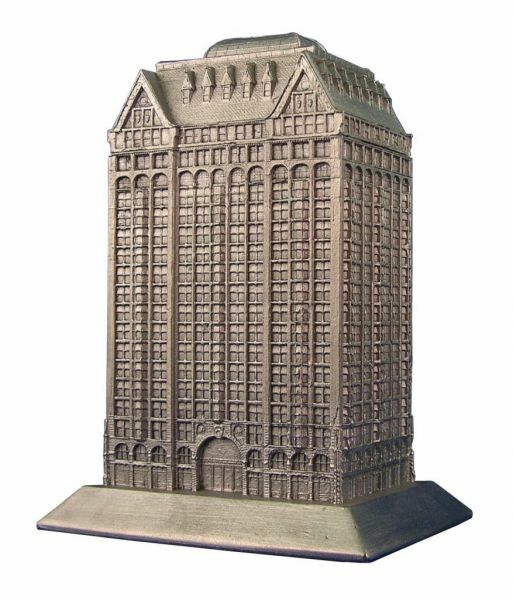 The Masonic was the first office building in Chicago to surpass 300 feet and was Chicago's tallest until the 1920's, but then demolished in 1939. This pewter replica stands 4-3/4 inches (122 mm) tall and is finished in new pewter.